Due to compatibility issues with oil- and water-based paints, it’s good to take precautions when repainting your home interior. 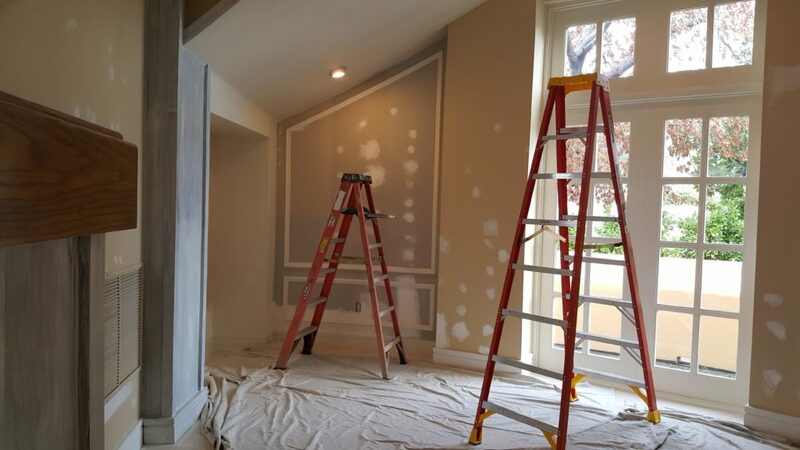 Photo: J & J’s Final Coat Painting, Inc. Interior painting may have once been a simple task, but during the last couple of decades, it has become a lot more complex. This is primarily due to the widespread transition from oil-based to water-based paint products. Because of this fundamental shift, you need to be careful when repainting—otherwise, you may find yourself in a real “oil and water” situation. Up until the mid-20th century, all house paint was oil-based. Even after water-based paint was introduced in the 1940s, its comparatively weak performance did little to compete with its predecessor. More recently, painting manufacturers began to develop better water-based products in response to the Green construction movement and growing concerns about the toxic properties of oil-based paint (such as VOCs). Today, modern water-based paint products offer comparable performance to oil-based products and have effectively supplanted them as the standard for house painting. While the transition to water-based paint has brought many positive upshots, it has also given rise to a dilemma for millions of homeowners. Due to their conflicting consistencies, oil- and water-based paints are unable to form a lasting bond, which can result in new paint peeling off the wall soon after application. Since the majority of United States homes still have oil-based paint on their walls, the odds that you’ll encounter problems when repainting are higher than you might expect. That’s why it’s important to take proactive steps. First, you need to determine what type of paint is on your walls. This is easy to do: Simply immerse a cotton swab, cotton ball or clean rag in rubbing alcohol and rub it on a small area of the wall. If paint comes off of the wall, you know it’s water-based and don’t have to worry about compatibility issues. If paint doesn’t come off, you know you’re dealing with oil-based paint and need to prepare the surface accordingly. If the surface is oil-based, you’ll want to check one more thing before proceeding. If your home was built before 1978, it’s possible that your wall paint contains lead, which represents a major health concern. There are a few ways to test a paint surface for lead. One of the easiest is to use a 3M LeadCheck™ Swab. If your wall paint tests positive for lead, you should call a professional to handle the situation. 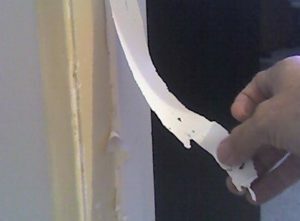 Using special techniques and tools (such as sanders equipped with HEPA vacuums to arrest dislodged dust), a professional painter will mitigate the threat of lead contamination during paint removal. Sand the painted surface. You don’t need to sand it down very far; you just need to rough it up a bit to help the new paint bond with it. Any sandpaper between 130- and 180-grit should work fine. After sanding, use a degreaser or trisodium phosphate to thoroughly wash the surface. Apply an oil-based or water-oil hybrid primer, which will create an adhesive surface for your paint to bond with. Once the primer is dry, apply your water-based paint. To find a Diamond Certified painter to help you with your painting needs, visit www.diamondcertified.org.